Last week I bought some parsnips with the hope of making some fries with them a la Caitlin or Tina, or another blogging genious 😉 In my attempts at googling what a parsnip actually looked like (don’t judge) I came across a recipe for parsnip fries that would “change your life,” courtesy of another blogger I am familiar with, Angela of Oh She Glows. The exact recipe can be found here. 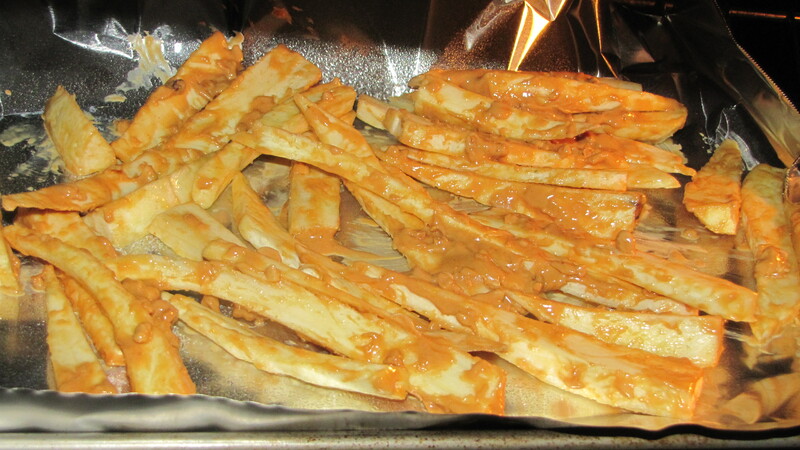 Directions: Preheat oven to 400F and line a baking sheet with parchment paper for easy clean-up. 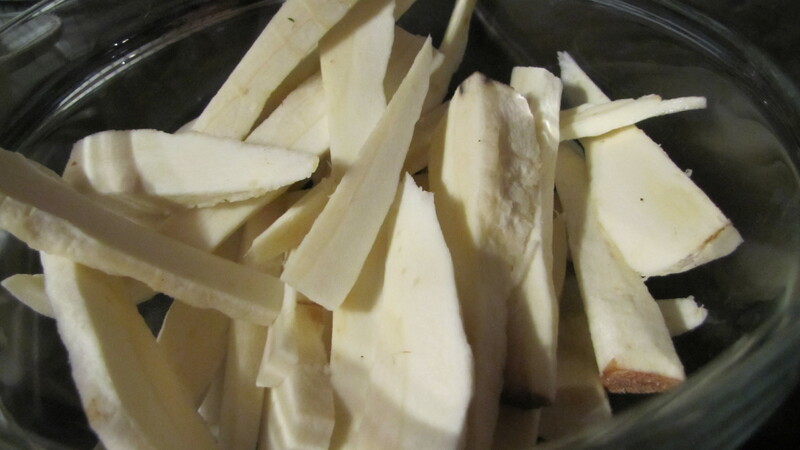 Peel and cut parsnips into fry-like strips. 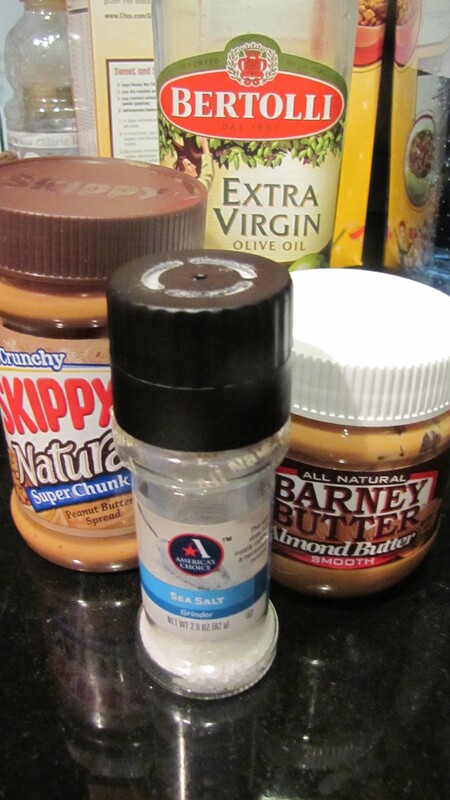 In a medium size bowl, mix together the nut butters, olive oil, and salt. Take parsnips and toss in bowl with your hands until fully coated. Line up on baking pan and cook at 400F for 30-50 minutes until crisp. UH YEA…HOLY YUM! 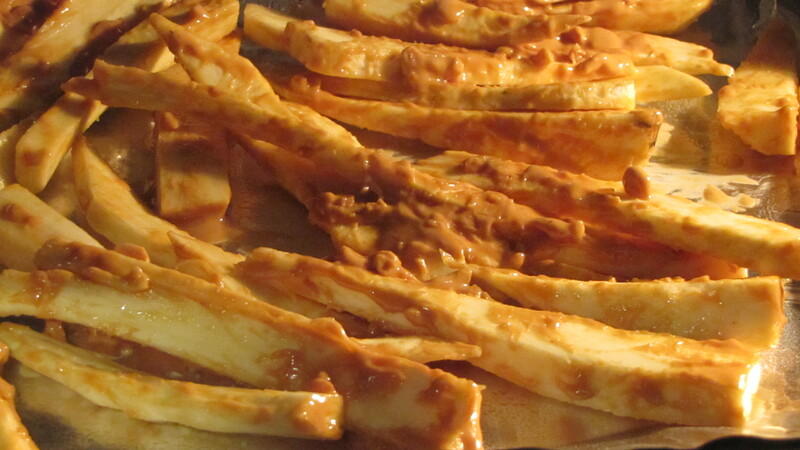 Here are pictures of my first attempt at these “life changing” fries. And yes, THAT they were! Right out of the oven- they looked SOOOOO good that I HAD to have one and of COURSE subsequently burned my mouth! On my plate- yes, these were life changers! 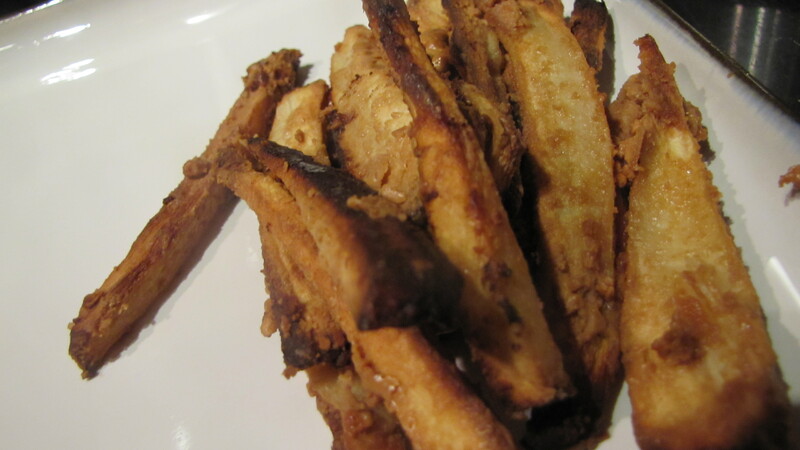 Do you make parsnip fries?!?! Do you have an interesting/yummy variation of them?!? PLEASE DO SHARE! Last time I made parsnips they came out horrible. I’m afraid to try again. Oy! Sounds delish! I’m going to try it. I’ve been making roasted cauliflower once a week. You’ve got to try it. Chop up a head, put it in a bowl, add 1/4 c evoo, 2 tbs fresh lemon juice, 2 tbs rosemary, tsp salt…toss, bake on a cookie sheet 375 for 30 min…chop garlic and add it for the final 5 min. SO YUMMY!! !